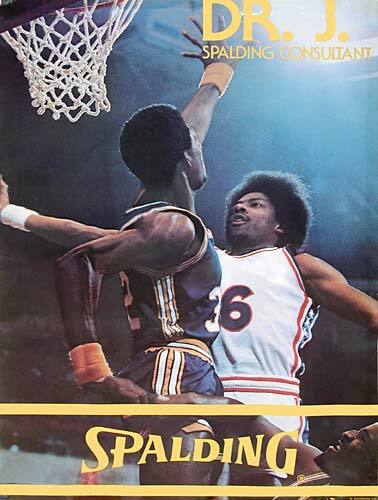 Actual Size 24" x 36"
I photographed Dr J for this Spalding poster during Julius Erving's first year with the 76'ers. Interesting to note, I never saw the poster when it was originally printed by Spalding. But fortunately I had an original slide which had either been returned, or held back from the original submission. The original photograph used for the poster can be seen in the Dr J 76'ers Gallery. I want to thank Scot Schmidt for mailing me his poster to photograph for the web site.